Although it’s tough to admit you’re too old to drive safely, responsible seniors know when it’s time to give up their licenses for the sake of the other motorists who are sharing the road. Medicines, both prescription and non-prescription, can be a problem for older Americans. Those medicines may impair their motor skills and lead to charges like a Los Angeles DUI--even when they haven’t had a drop of alcohol. It just becomes easier to leave the driving to other folks. 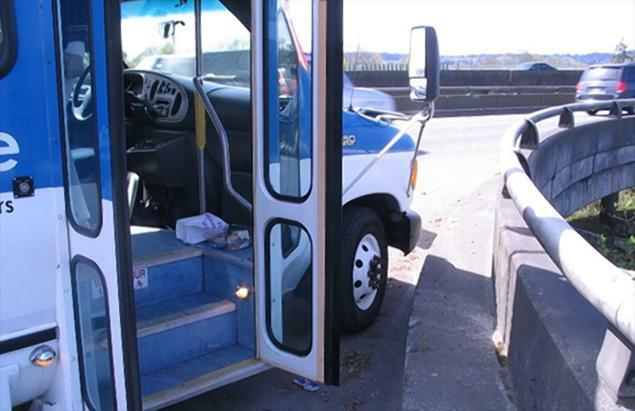 It’s somewhat ironic, therefore, that a busload of day trippers from the Snohomish Senior Center in Washington State had the misfortune of having 45-year old Gilbert Maier behind the wheel of their van. Any one of them would have probably done a better job at driving. The 11 seniors were passengers on a van traveling to the Skagit Valley Tulip Festival in Mount Vernon, Washington. Maier was the driver, but it soon became clear to the terrified travelers that the senior center could have done without this volunteer. Even before he got to the Interstate, Maier ran two stop signs and hit curbs, apparently talking on the phone as he was driving. He even swerved briefly into the wrong lane. The passengers eventually spotted a state trooper over by the side of the road and demanded that Maier stop. He almost hit the cop as he complied. Police officers took him off to jail, where they determined that a combination of prescription drugs–antidepressants and pain killers–contributed to Maier’s erratic driving. They charged him with DUI. This was Maier’s second arrest for DUI. The Snomish Senior Center did run a required background check before letting him drive the van, but an earlier charge in 2014 didn’t show up on Maier’s driving record because it was a misdemeanor.